Reginald Jones, a long-time member of the Project 21 national advisory council, is the president of the Reggietainment Group, a music management and promotional company. 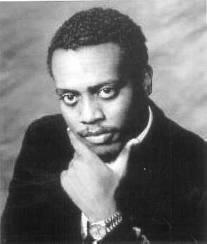 Jones helped in the founding of rap music in the 1970s and has performed with musicians such as New Edition, Patti LaBelle and Busy Bee Starski. On radio, he once hosted the “Pure Funk” show on WNYU-New York and “Generation Now” on the Radio America network. On TV, he hosted “Grassroots Live” on National Empowerment Television. Jones has additionally appeared on the Fox News Channel, MSNBC, CNBC, C-Span and Newstalk TV. He is a member of the speakers’ bureau of the Young America’s Foundation and was voted “Best Speaker” at the National Conservative Student Conference.